This MakerPlot Video Tutorial series describes the ins and outs of the basic "No Frills" plot seen here. 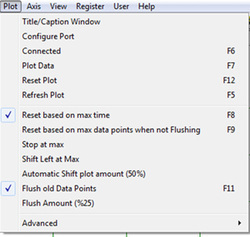 Despite what its name implies, there is a lot to the Basic "No Frills" Plot that is fundamental to more advanced plotting using things like menu buttons, switches, meters, etc. After viewing this video tutorial series you may want to just use the Basic "No Frills" Plot for general testing and debugging of your micro’s data without getting “fancy” - so it is well worth the time to learn about it. In this video you’re going to learn how to connect to your micro using the basic No Frills Plot that comes with MakerPlot. We will do some plotting using 4 analog channels. 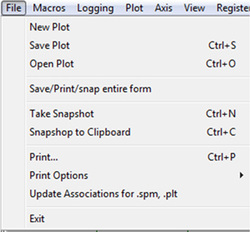 You will also learn how to use the toolbars at the top to configure your plots. This video shows how to adjust the X and Y axis scales so that they can be configured to analog plots. Then we’re going to stop the plotting and shift the plots around to see them in another perspective. What you’ll see in this video is how to stop the plot at the maximum time and stop plotting altogether….and, also, how to automatically shift the plot to the left by a percentage and keep a portion of the old plot on the screen while new data is plotted to take up the gap. 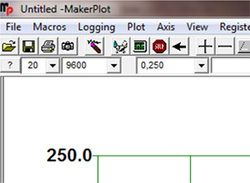 Both of these features are important for different plotting applications. At the bottom-left of the interface screen are two important indicators. These are the Data and Queue progress bars. The top progress bar is the data entering the MakerPlot processing engine and the bottom queue progress bar indicates how fast the data are being processed – and what’s left to process. 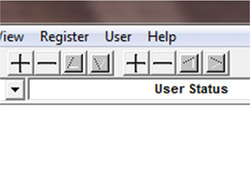 The Configuration tab contains a lot of vital settings for data plotting. 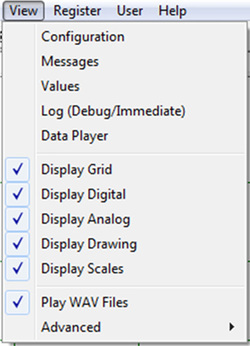 Click on the pencil icon to bring up the Configuration menu. There are six sub-tabs that configure various parts of the plot. We’ll look at the Axis tab in this video and how you can adjust the X and Y axis settings to set the axis scales, labels, grid lines and other features. The following videos describe the other tabs. 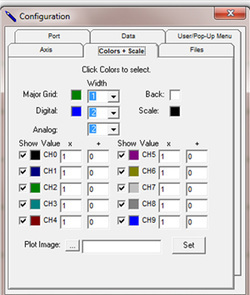 The Colors & Scale Tab has many interesting and useful plotting configuration features that are worth exploring - including changing the plot line colors, scaling the plot line values before they’re plotted, changing the width of the plot lines as well as those of the grid lines and changing the background color of the plot area along with changing the text color of the X and Y plot scales. Another feature is selecting which analog channels get plotted and which ones don’t. 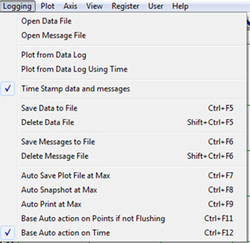 The Files Tab lets you setup file names for logged data, messages, screen snapshot for auto plot saves and if the date and time should be appended to messages as well as snapshot file names. 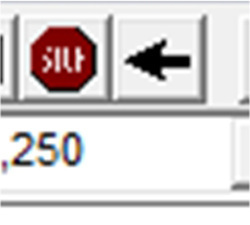 Plus, you can select to “snap” just the plot area or the entire screen. This video explains what these file names mean and how to manipulate them to your plotting. The Data Tab sets the amount of data points that can be accumulated. Analog and digital data points are saved as they are received up to the maximum amount set here. 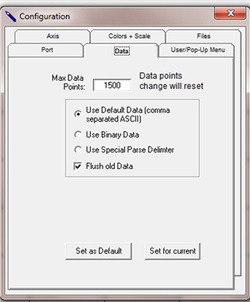 It is necessary to save data points so that the screen can be redrawn or for saving to a data log or plot file. 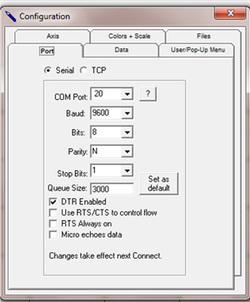 The Port Tab configures the comm port settings, which you’ve already done using the toolbar; however, it’s worthwhile to go over the settings in this tab just to show that they can be adjusted here, as well. 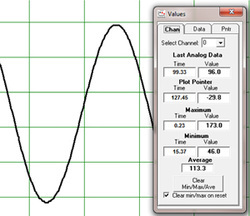 The Values tab allows you to track the analog data being plotted by time and amplitude. It‘s also useful for obtaining the coordinates of the plot and object areas. And finally it’s a way to set up to 10 analog values and names for use by other parts of the program. We will explore these capabilities in this video. The Log – Debug/Immediate Window is an extremely useful tool for testing out code and for data analysis. It displays analog, digital, message and other data and it’s also a way to get data into MakerPlot using your keyboard in addition to a serial connection. 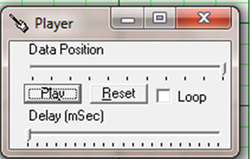 The Player Tab allows you to record and play back plotted data. This video will show you how to setup MakerPlot to do this as well as how to save your recordings for later playback and analysis. The Files Menu is where you can choose to create, open and save files as well as print them. 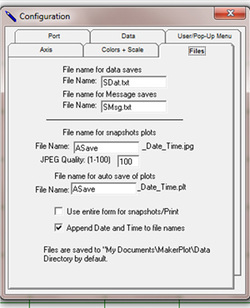 There are also specific MakerPlot choices like "Take Snapshot" and "Save/Print/Snap Entire Form" that allow you to capture the screen in .jpg files for later review and analysis. 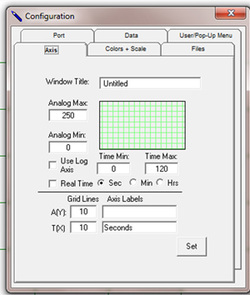 MakerPlot uses text-based macros to generate the interface screens. 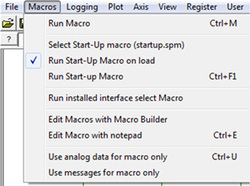 The Macros Menu allows you to generate, edit and save macros as well as select the one you want to come up (run) when MakerPlot is launched. Data logging is an important MakerPlot feature and the Logging Menu is where you can configure how to log data and where to store the logged files. Data logging can be by time or by data points with several options that make it a versatile logging tool. The Plot Menu provides all the tools to create, open, save and reset plots as well as choices for automatically shifting the plot as it progresses across the screen. Additional choices for flushing old data to make room for new plotted data are here, as well. 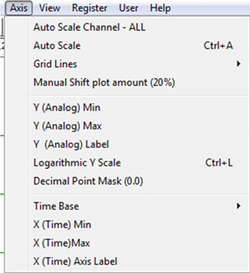 The Axis Menu provides control for the X and Y axis settings including auto scaling analog data and selecting the number of grid lines that appear in the plotting area. The View Menu allows you to choose what is, and isn't, displayed on your plot. It's a great way to customize the plot area to your individual taste.